K Four Trailer Sales Inc. is a family owned business that has been around since 1998. We started with a 10 trailer inventory and now stock over 200 trailers. 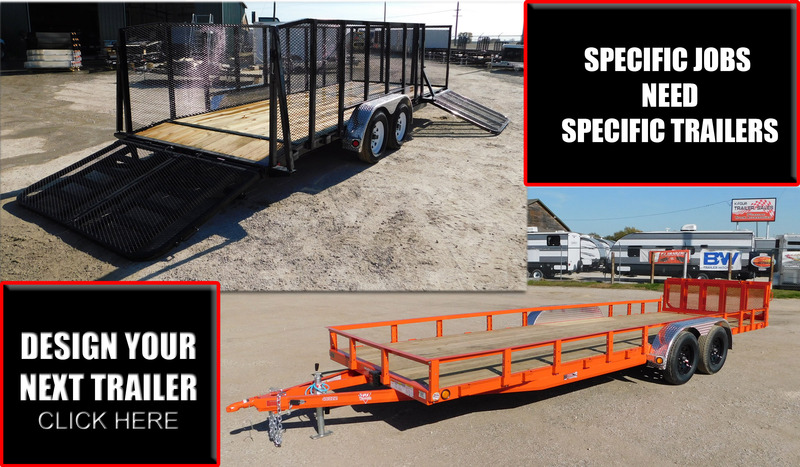 We currently carry Haulmark, Legend, Sundowner and H&H enclosed trailers, and PJ and H&H open trailers. Whether you are looking for farm use or looking to hit the race track we can help you find a trailer that will fit your needs. K Four Trailer Sales Inc is one of the largest and fastest growing trailer dealers in Kansas. Our commitment to customer satisfaction is second to none. We pride ourselves on our efforts to provide superior customer service. We also have a fully equipped trailer repair and maintenance shop. We provide services from tire and wheel replacement to DOT inspections and any other service your trailer or RV may need. We also offer and install thousands of automotive aftermarket accessories, whether you need it for your showroom floor, the street scene, or climbing the Rockies. We are celebrating our 20th year in trailer sales and hooking customers up to all types of trailers! We would also like to thank all of our customers for their loyalty, repeat business, and customer referrals. It is also our 15th year in truck accessories sales and truck customizing.